As an English teacher, I often try to tell my students that if they practice and if they are immersed in the language, they will learn faster. However, I've been in Germany for nearly 5 months, and my German is still dreadful. It would be wise, perhaps, to take an intensive course. However, my flexibility in time is crucial to my employment, and, at this time, I can't afford to give up 4 hours of each day to an intensive course. I am also a believer in the idea that autonomous language learning is a possibility. However, my efforts to teach myself have been...underwhelming. 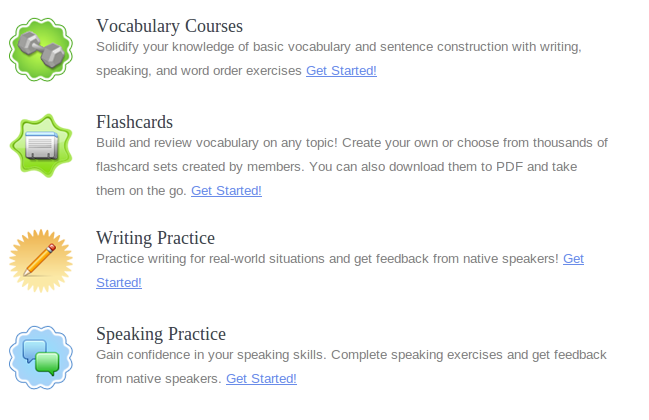 I decided that it was time to get a little more serious about motivated language learning. Despite my lack of time for an official course, I do have the time to work on my German each day, and in order increase my learning possibilities, I have started checking out some language learning sites. The first site that I reviewed was Live Mocha. With a free membership you are allowed to sign up for a few courses that have the same kind of lessons and units that you would see in your typical self-study book. The site is based on "tokens," which you can purchase (either by the token, or by the month) or, alternatively, you can acquire tokens by helping other people who want to learn your native language. To proceed through the lesson, you must use the tokens to "purchase" the lesson segments. One entire unit (with 5 parts) appears to be worth 175 tokens. It took me about 20-30 minutes to earn 150 points by reviewing audio submissions in English. 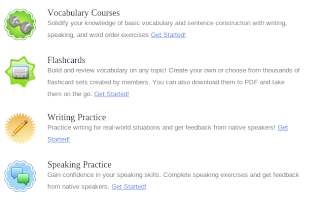 The site has options for vocabulary, grammar, and writing practice, but the thing I like the most about this site is the option for speaking practice. There are mini lessons that you can do, and they will be rated by the community. However, the response doesn't seem to be overly strong yet. There is also an option to work with a Native Speaker teacher, but you have to purchase the "Gold Key" and pay a small fee. In short, if you have the time to review other people's audio and writing submissions, this could be a valuable site for free learning. If you don't have the time, it seems like it could offer some nice options for a price.